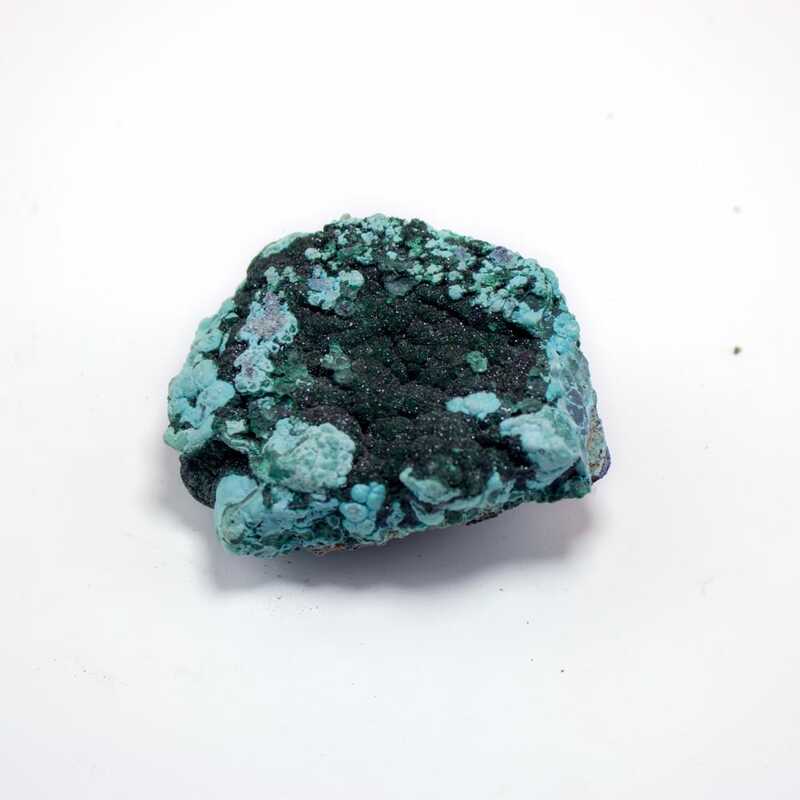 Chrysocolla is a hydrous copper silicate usually found in association with Malachite and Azurite. Chrysocolla was first mentioned in 315 BC by Theophastus, but was revived and reported again in 1808 by A.J.M. Brochant. This mineral was named from the Greek word meaning “ Gold glue” due to its common use in soldering Gold. The most beautiful pieces of Chrysocolla have come out of Chile, Congo, Russia, and the USA. 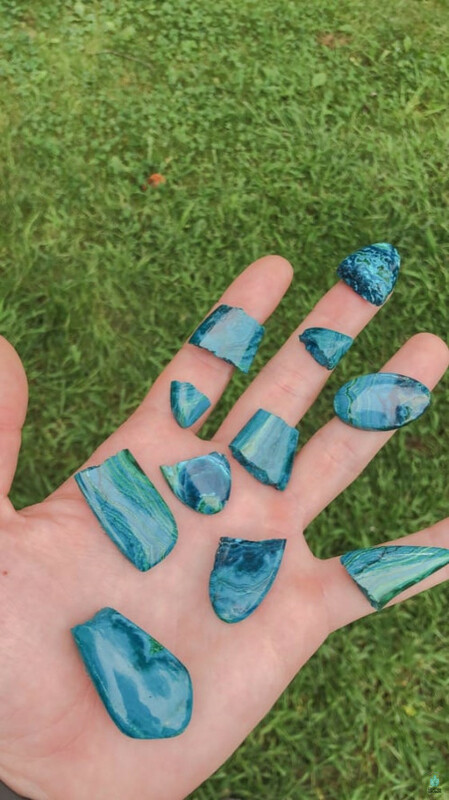 Chrysocolla is a stone of empowerment, communication , and calming. People who tend to get erratic and are hyper emotional during stressful situations need to carry a piece of Chrysocolla daily. This stone will help in reducing that panic feeling when overwhelmed, and will allow you to have a clear head and a calm mind while making difficult decisions. Chrysocolla will aid in communicating those thoughts while raising your wisdom to achieve these ideas in reality. Chrysocolla is commonly worn around the neck near the throat chakra for the maximum effects of its abilities. Chrysocolla has been found with Quartz infused within. This special type of Chrysocolla is called Gem Silica and is extremely powerful. The Quartz magnifies all of the Chrysocolla’s energies and will bring forth inner-truth about yourself in a very clear, understanding way. 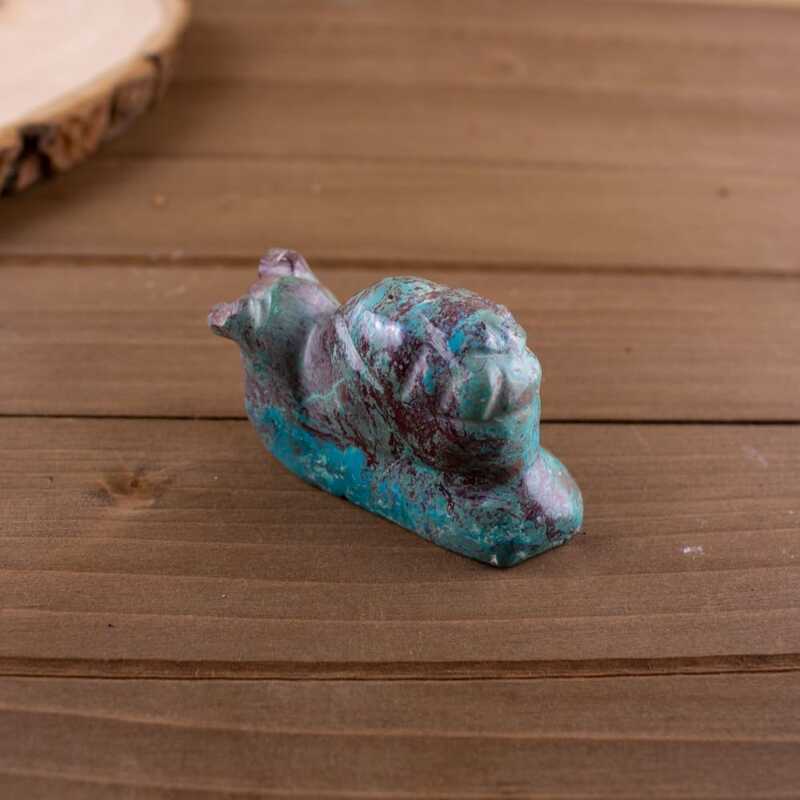 Chrysocolla harmonizes well with other copper silicates such as Ajoite, Malachite, and Azurite. Each stone acts as an enhancer, working off one another. Phenacite allows for deep inner visions to be well communicated and will assist in understanding their meaning. Feel free to share your thoughts about the article. Want to join in on the conversation?